Is your baby sleeping bag safe? A number of baby sleeping bags have failed British Standards compliance checks, according to Trading Standards. Devon, Somerset and Torbay Trading Standards Service has issued a warning to parents after sending 10 different baby sleeping bags for lab testing, to check that they lived up to their claims that they are compliant with the latest British Standards requirements, and finding some didn’t. • Some of the products had neck sizes that were too small or too large. • Products that shrank following washing. • Fabric loops used for display purposes posing a potential risk of trapping little fingers. • Zips that didn’t fasten securely at both ends (to ensure that the bag can’t come loose). • Labels providing information – including warnings, tog values and care instructions – were unclear on some products. Products tested were sampled from across ranges and included those on sale in high street retailers, supermarkets and department stores. Trading Standards wouldn’t confirm which brands or products were tested. However, it says it has written to the retailers concerned and made it clear that the products that didn’t live up to their claims must be removed from sale or re-labelled. How can I make sure my baby sleep bag is safe? 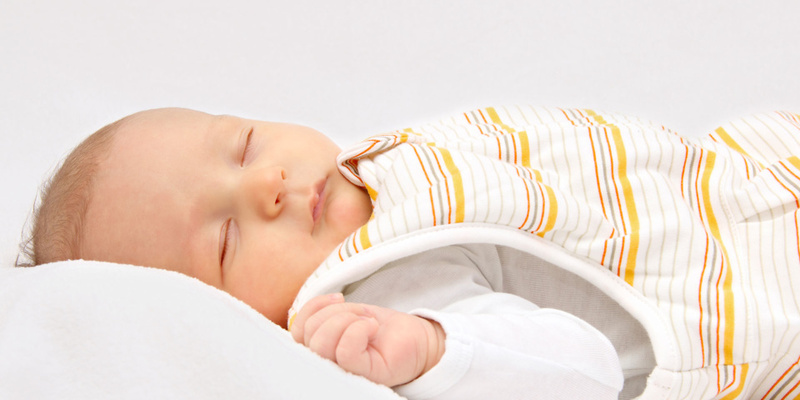 Find out more about how other baby sleep solutions compare with sleeping bags. Check labels – is the information clear? Look for the British Standard BS8510:2009 on the label. Check any fastenings and the fit of the product and make sure there are no small parts that could come loose. Make sure that Velcro fastenings or zip fastenings are covered, so as not to come into contact with the baby’s skin. Always follow manufacturers’ washing instructions. Washing a garment at a higher-than-advised temperature could cause the garment to shrink, affecting the temperature or comfort of your child. Avoid purchasing products with added ‘loops’ intended for display, as a baby’s fingers could become caught. Check that the labels are secure and are not at risk of coming loose, posing a choking hazard. Check the stitching and seams – do not purchase if either seem unfinished or rough. Don’t assume that because the label states a size (for example, ‘for 0-6 months’) that it will fit your child. If the product is a poor fit, you should be able to return it for a full refund. Do not use the product if you think that it may be unsafe. Baby sleep training: which is best for you?